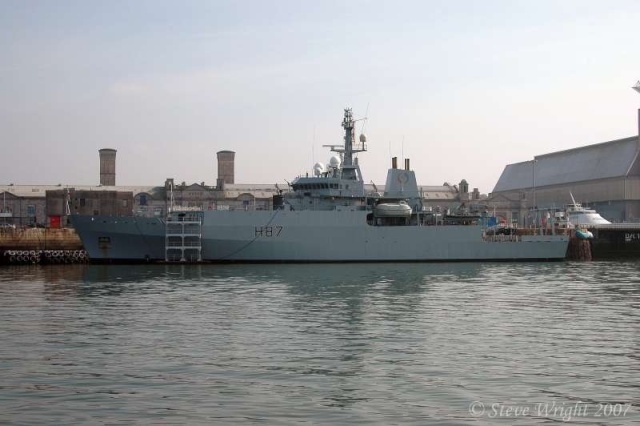 HMS Echo (H 87) alongside at Devonport Naval Base on the 11th October 2007. 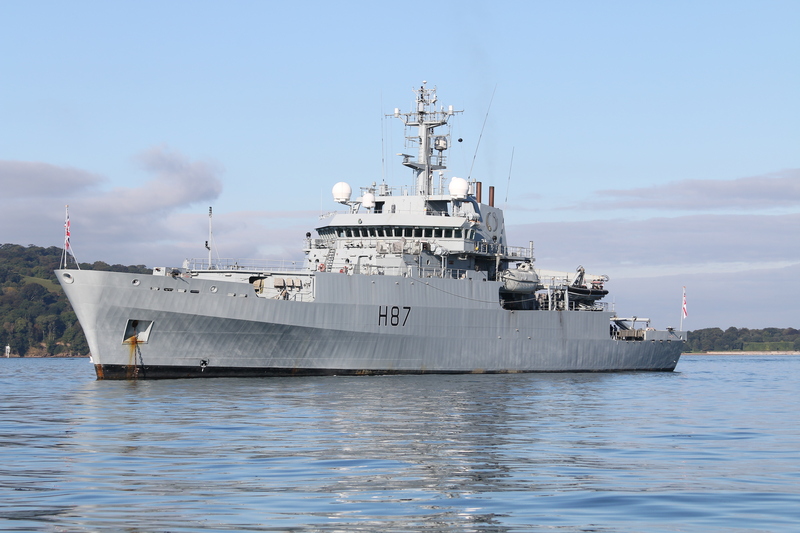 The advanced Royal Navy survey ship HMS Enterprise is sailing into her homeport of Devonport on Friday (April3) after a mammoth 19-month deployment. 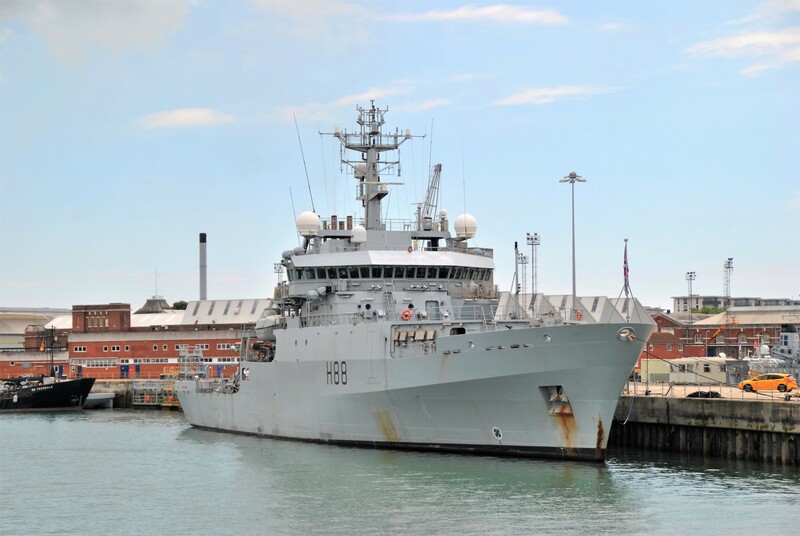 The deployment has taken her from Plymouth via the west-African coast, around the Cape of Good Hope, through the Indian Ocean and the Straits of Hormuz into the Arabian Gulf- before heading home via the Suez Canal and the Mediterranean. In total eighteen ports have been visited by HMS Enterprise during her epic voyage. The key task of the crew was to ensure the freedom of navigation for marine traffic in previously poorly charted waters. 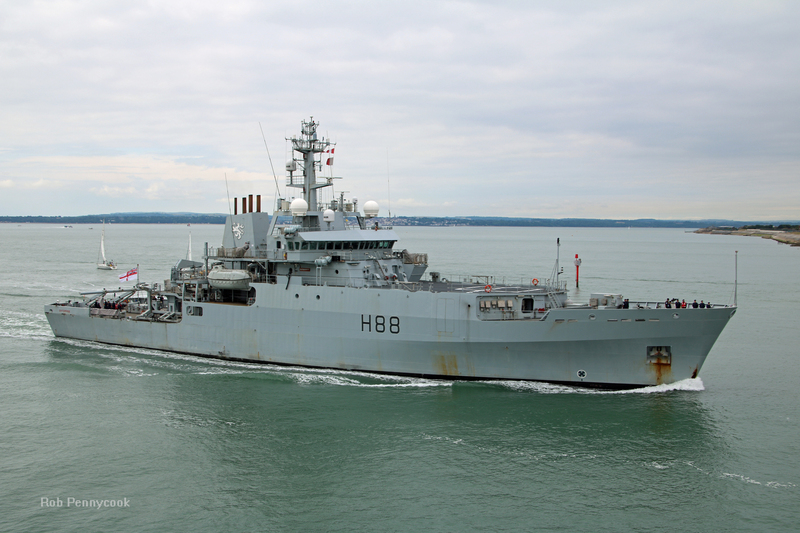 In so doing HMS Enterprise has also enhanced defence relations and promoted the interests of the UK in rarely visited regions as a by-product of her presence. More recently the ship spent six months in the Northern Arabian Gulf ensuring the safe navigation for oil tankers, these being crucial to the Iraqi economy. 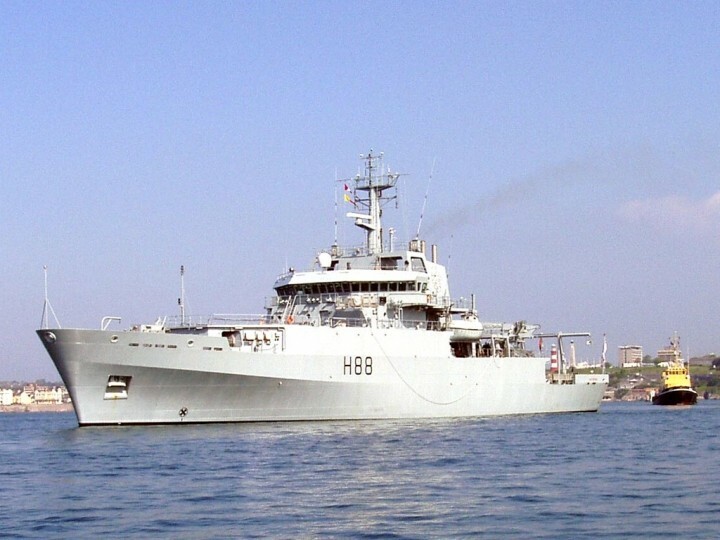 Her West African tour included visits to Sierra Leone, Cape Verde, Gambia, Ghana, Nigeria, Cameroon and Gabon, where she was primarily engaged in hydrographic, oceanographic and meteorological surveying operations. These areas had most of their charts drawn in the mid-19th century and any subsequent charts based on a combination of out-of-date surveying and guesswork, with huge tracts being completely blank. 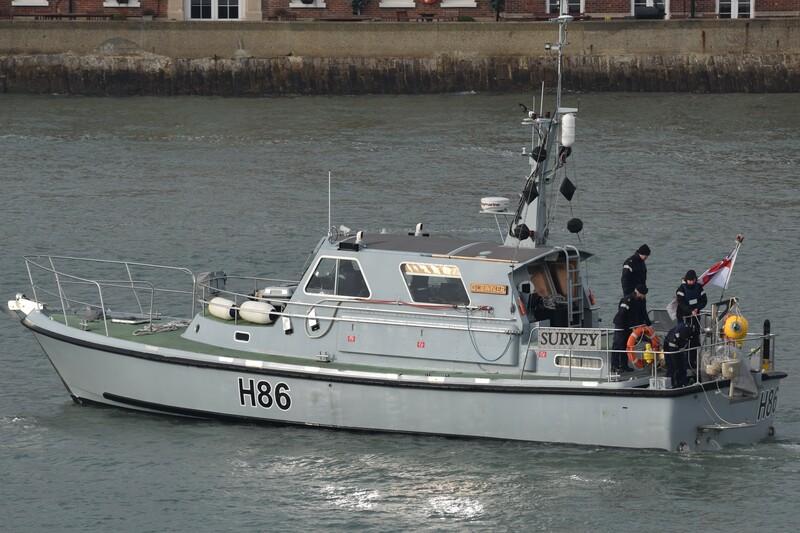 Not all of HMS Enterprise’s survey work took place at sea - the crew even surveyed the coast with one project being a joint survey of Banjul Harbour for The Gambia. 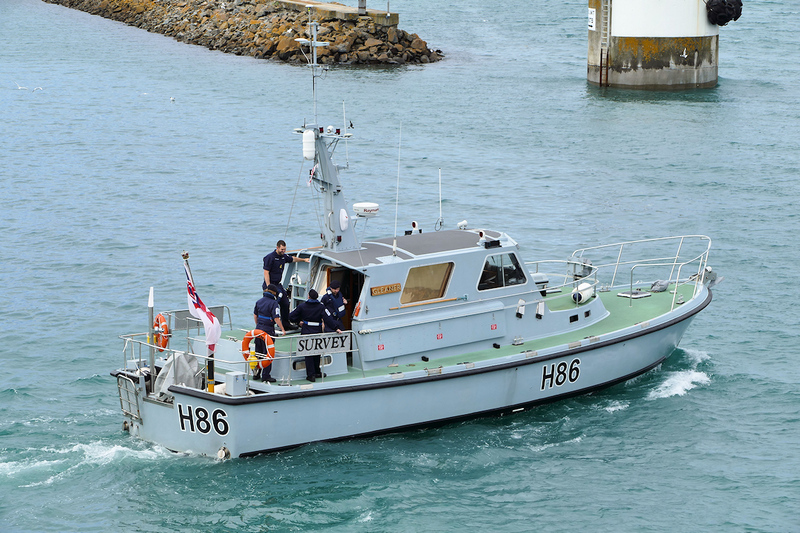 Other co-operative surveys included a survey of the approaches to Sierra Leone, a harbour check survey for Cameroon, GPS work in Ghana and deep water work for the Seychelles. The ship has made new friends and alliances for the Royal Navy in these rarely visited regions. 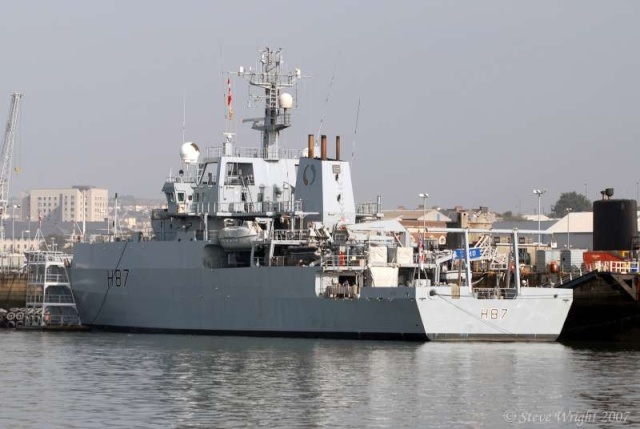 Aside from survey work HMS Enterprise contributed to the Remembrance Sunday Ceremonies while deployed and even played the combined Gambian Armed Forces at football in their National Stadium incurring a narrow, but ‘diplomatic’ loss. This was one of many ‘international’ matches played during the deployment. 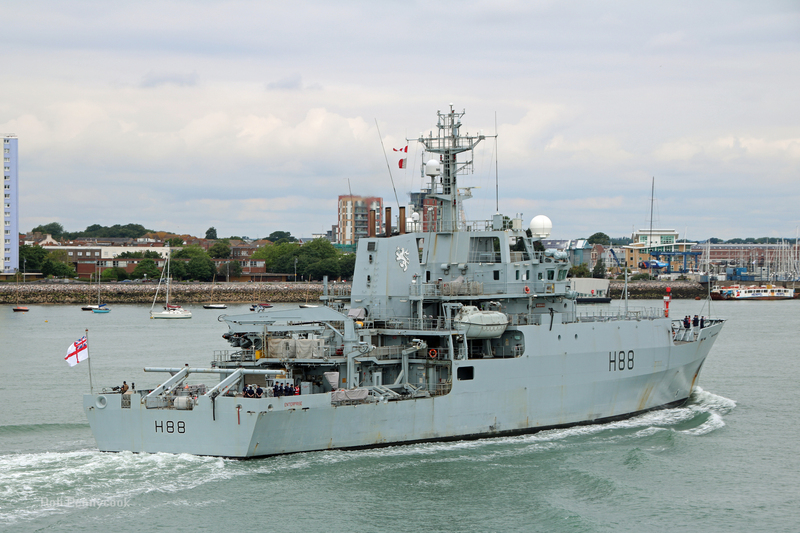 On her way to the Gulf HMS Enterprise visited Cape Town, then the Indian Ocean and Seychelles. From the Seychelles she sailed up to the Arabian Gulf. where she worked in the approaches to the Arabian Gulf- one of the world’s busiest waterways to gather a significant amount of data in this region. The crew made a positive impact on safety in this crucial area of sea. On leaving the Strait of Hormuz in September last year HMS Enterprise worked in the Northern Arabian Gulf as part of Op Telic. Her work, contributing to ensuring navigational safety, will have a real and positive benefit for the economy of Iraq. Oil tankers in the region are higher than average insurance premium due to the poorly charted waters and presence of mine danger areas. The Royal Navy’s survey work will update Admiralty charts - thereby reducing the insurance premiums, which will directly benefit Iraq’s Oil and Maritime trade. After finishing this in February, it was a straight transit home, through the Med and Suez Canal, with just one quick stop off for Easter weekend in Gibraltar before the ship returns into her base port for a well deserved home coming.